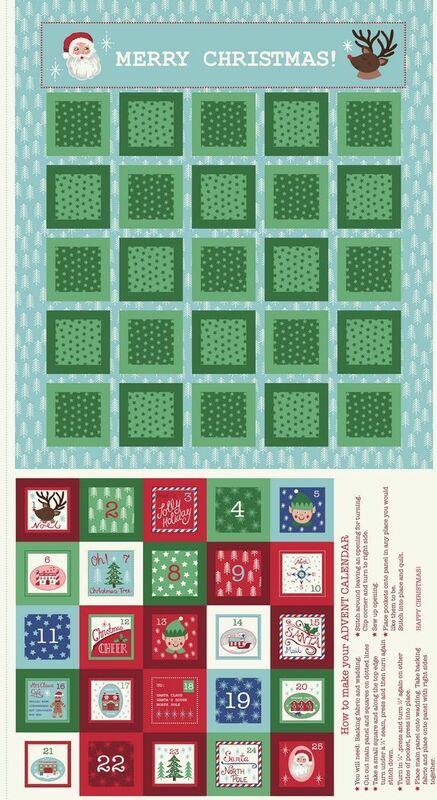 An advent calendar panel on ice blue background featuring 25 north pole themed pockets. Sewing instructions are printed on the panel. This is a fun project suitable for beginner level.